Bequests are a major source of funds for Chabad. Your testamentary charitable bequest ensures that your support of Chabad will continue in perpetuity. It is possible to designate a special purpose or program for your bequest, keep in mind, the specific needs of the Center may change depending on the future state of world events. Therefore, it is preferable to authorize the Center to use the bequest for its general charitable purposes in the event the designated use is determined to be inapplicable. The Chabad Jewish Center of S. Clemente is given a specific dollar amount or a specific asset, such as securities or marketable real estate. 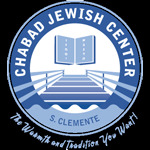 The Chabad Jewish Center of S. Clemente is given all or a percentage of the remainder of the estate after payment of all expenses of the estate and any other specific amounts bequeathed to other beneficiaries of the will. You may provide for income to be paid from the trust to a designated beneficiary, and after that individual's lifetime all or part of the principal passes to the Center. You may have family and friends for whom you feel a responsibility and choose to provide for them first in your will. The Center is given a bequest only if the designated beneficiarie(s) predecease you. The provisions in your will or revocable living trust for leaving a charitable bequest to the Chabad Jewish Center of S. Clemente will depend upon the type of gift and your unique circumstances. We hope these sample bequest clauses will be helpful to your attorney. Unrestricted General Legacy (Outright Bequest) I bequeath to the Chabad Jewish Center of S. Clemente a California not for profit corporation, having its principal offices at 1001 Avenida Pico #C233, San Clemente, CA 92673, the sum of ($________) DOLLARS for its general charitable purposes. Bequest for Specific Purpose I bequeath to the Chabad Jewish Center of S. Clemente a California not for profit corporation, having its principal offices at 1001 Avenida Pico #C233, San Clemente, CA 92673 the sum of ($________) DOLLARS [OR] a percentage (%________) of my residuary estate to be used for the Chabad Jewish Center of S. Clemente [insert specific purpose designation]*. If in the opinion of the Board of Directors, the purposes of the Chabad Jewish Center of S. Celemente would be better served by using the income or principal, or both, for the Chabad Jewish Center of S. Clemente general purposes, the income or principal, or both may be so used. I bequeath to the Chabad Jewish Center of S. Clemente., a California not for profit corporation, having its principal offices at 1001 Avenida Pico #C233, San Clemente, CA 92673, the sum of ($________)DOLLARS [OR] a percentage(%________) of my residuary estate to establish an endowment fund bearing the name of________________ . The net income therefrom shall be used for the benefit of The Chabad Jewish Center of S. Clemente [insert specific purpose designation]*. If, in the opinion of the Board of Directors, the purposes of the Chabad Jewish Center of San Clemente designated program would be better served by using the income and principal of the fund, they may have the discretion to do so.